Are you sitting comfortably? Good. This could take a while. The iPhone 5S is less than a year old, but rumors are gathering about its replacement, which should – if previous versions are anything to go by – be called the iPhone 6. Will it be bigger, or stay the same size? Will it have standout features? Will it be joined by an iPhone 6C, or the iWatch? None of these questions and many more will be answered until Tim Cook takes the stage later this year, but we can’t wait until September. We’re just not that patient. So, we’ve collected all the latest gossip we’ve heard right here. We hope you enjoy. Updated on 09-04-2014 by Malarie Gokey: New reports from the Wall Street Journal and New York Times confirm both iPhone 6 models will launch at September 9 event. Apple announced it will livestream the event on its website. 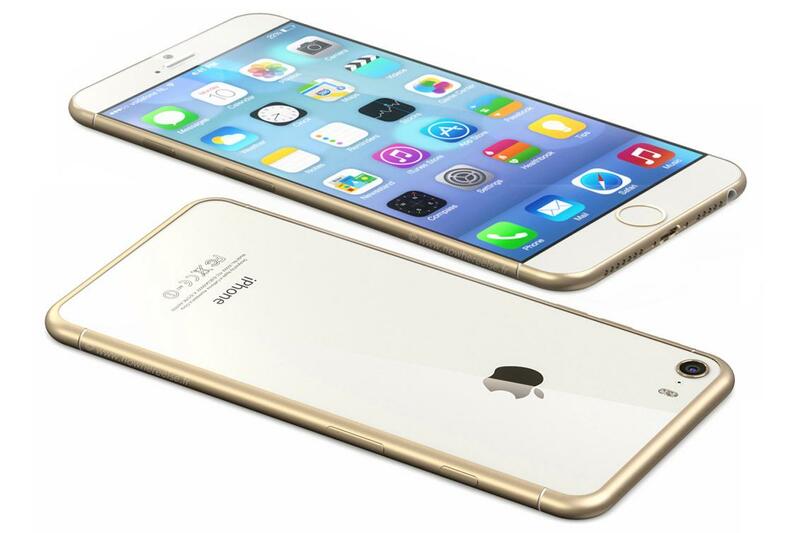 For the last few years Apple has announced its new iPhone 6 around September or October. A sensible gambling man would bet on this trend repeating in 2014. On August 28, Apple sent out official press invites for an event on September 9, confirming earlier reports that it would release at least one model of the iPhone 6 on that date. Then, just days before the September 9 event, the Wall Street Journal and the New York Times both independently confirmed that Apple will unveil the 4.7-inch and 5.5-inch iPhone 6 models at the event. On the same day, Apple announced that it will livestream the September 9 event on its website. In early August, a report from Recode indicated that Apple will hold the iPhone 6 launch event on September 9 at an unspecified time. The article added that both the 4.7-inch and 5.5-inch models are expected to debut with the new A8 processor onboard. No source was cited and Apple declined to comment on the report. Shortly thereafter, the Wall Street Journal and Bloomberg confirmed Re/Code’s report of the September 9 launch date, citing anonymous sources familiar with Apple’s plans. When we reached out to Apple, a company spokesperson declined to comment on the rumors to Digital Trends. In late August, a post on Chinese social media site Weibo hinted that the iPhone 6 will indeed be unveiled at a September 9 event and then released in stores on September 19. This contradicts earlier reports that the release in stores would be delayed until October 14. It’s also more in line with past iPhone launches. 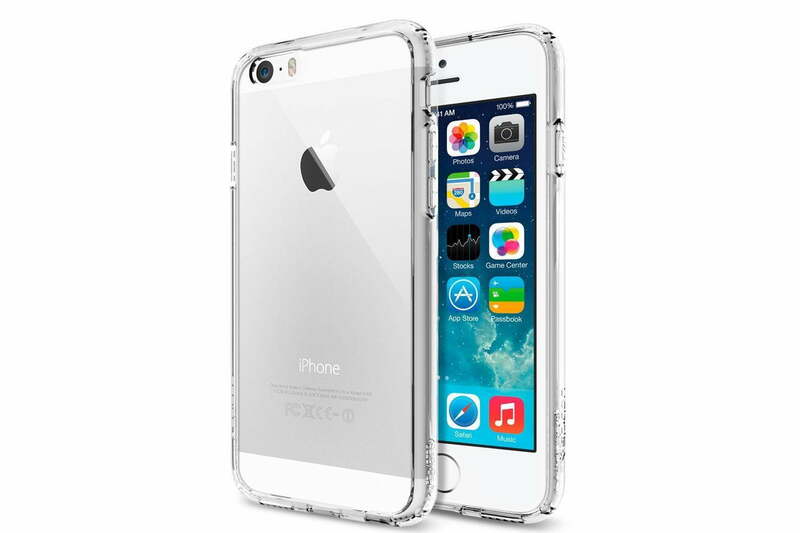 For example, the iPhone 5S, 5C, 5, and 4S all arrived in stores on the second Friday after the launch event, too. Previous reports indicated that the iPhone 6 will be announced on September 19, with a roll out in stores scheduled for later that month. On the last day of July, a report from MacRumors suggested that Apple will introduce the iPhone 6 on September 16 and make it available in stores on October 14. The rumor came from a source who claims to have heard a senior Apple Store Leader announce that October 14 would be an “immense” day for the company. The person reportedly added that the entire month of October would be busy for the company and the retail store staff. These remarks hint that Apple plans to introduce several new products in October, which could include new iPads, the iPhone 6, the iWatch, or all three. It’s unclear if both iPhone 6 models will arrive on that date or not. In late July, a flyer from China announcing the launch of both iPhone 6 models for September 19 appeared on Chinese social networking site Weibo. GSM Insider spotted the image. In direct contradiction with reports that the second model’s launch will be delayed, the flyer clearly announces both models for a September 19 launch. The flyer also hinted at price points for both models. According to the flyer, the 4.7-inch iPhone 6 will cost CNY 5,288 and the 5.5-inch iPhone 6 will cost CNY 6,288, but these figures aren’t terribly helpful when coming up with estimates for the U.S. price. A few days after the above flyer was spotted, yet another report pegged the iPhone 6 launch date for the second or third week of September, citing sources familiar with Apple’s event plans. The sources added that Apple is still finalizing its plans and has yet to decide whether it will release both the 4.7 and 5.5-inch iPhone 6 models at the same event. Then, DigiTimes reported that Apple will not release both versions in September, but will hold off on the 5.5-inch iPhone 6 release for a few months. The report stated that Apple hopes to avoid competition between the two models with this strategy. DigiTimes added that reports of production delays for the larger iPhone 6 are false. Previous reports have also hinted at a September 19 launch date. In late June, a report from Chinese site Tencent stated that Apple will reveal the iPhone 6 at an event on Friday September 19. Deutsche Telekom also hinted that the big reveal will take place on that same Friday. Seeing as Apple typically launches new products on Fridays and iPhone launches have traditionally occurred in early-to-mid September, this report is hardly surprising. However, sensibility rarely comes into the equation when discussing any iPhone, so not everyone thinks this will be the case. Chinese website Tencent was one of the first to talk iPhone 6 release dates, quoting an analyst who said the new phone will hit the production lines in May, ready for release between July and September. Just before Christmas 2013, DigiTimes chimed in with some gossip saying Apple planned to release iPhone 6 in May 2014, which obviously turned out to be false, and tech industry observer Eldar Murtazin tweeted that Apple is eyeing a June release. Jefferies analyst Peter Misek also said a June or late summer release is possible. We now know if Apple had any plans for a June release, they’ve been cancelled. The Taiwanese press are spreading the rumor Apple has chosen August for the 4.7-inch iPhone 6 model to go on sale, and the larger 5.5-inch model will follow in September. Few companies hold major announcements in August, due to it traditionally being a holiday month for a large part of the world, so this doesn’t sound all that likely. However, it does fit in with comments that Apple wants to speed up release to better combat its Android rivals. According to a news report, Pegatron, the company which makes some of Apple’s hardware including the iPhone, is in the process of hiring more staff and opening a new factory. It’s all in preparation for the iPhone 6, which will supposedly start making its way down the production lines between April and June. Apple supplier Catcher Technology is estimated to deliver 15 percent of the iPhone 6’s metal casing components this year, according to an analyst, a figure which could mean a total of 70 million iPhone 6 sales are expected. It’s further speculated that to reach this figure, Apple will have to launch the phone slightly earlier than September. No date is offered, but the analyst doesn’t expect it before the end of July. Pegatron, one of the world’s largest electronics manufacturers, is rumored to have secured orders to build 15 percent of the 4.7-inch iPhone 6 devices. It’s an indication Apple will split production between Pegatron and its regular partner Foxconn. Between the pair of them, at least 50 million iPhone models, of various sizes, will roll off the production lines during 2014. Staying with production rumors for a moment, it’s also being reported the first set of fingerprint sensors for the iPhone 6 (along with those for the next-generation iPad tablets) have started to be delivered, again in anticipation of the upcoming launch. Foxconn is reportedly in the midst of the largest recruitment drive in its history, with more than 100,000 jobs on offer, all in preparation for the iPhone 6’s arrival. Additionally, it may make use of a new robotic workforce, called Foxbots, to keep up with demand. Despite the expected slimness of the iPhone 6, Apple may squeeze in a larger capacity battery. A Chinese report says the 4.7-inch model will have an 1800mAh cell, while the 5.5-inch model will get a 2500mAh battery. Apple doesn’t publish its mAh ratings, but conversions show the iPhone 5S with a battery somewhere around 1500 to 1700mAh, so both these new cells would represent a much needed increase over the existing model. In early August, a new report emerged stating that the 4.7-inch iPhone 6 will come with a 2100mAh battery, which is significantly larger than previously expected. The report comes from ESM-China analyst Sung Chang Xu, who claims that although a 1800mAh battery has been spotted in leaked iPhone 6 pictures, that battery pack is just for testing and Apple will replace it with a larger one in during mass production. Prior to September, there was no word on just how large a battery the 5.5-inch iPhone 6 will have. 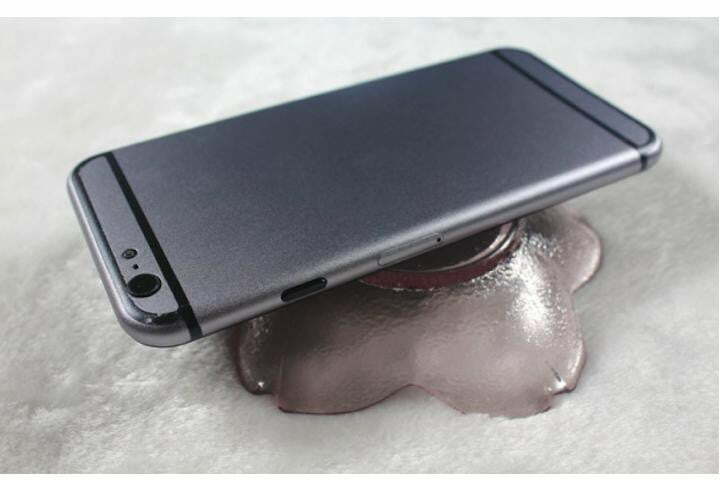 Then, just one week before the big unveiling of the iPhone 6, a leaked image of a huge, 2915mAh battery appeared on Nowhereelse.fr. The site says the large battery is intended for the 5.5-inch model. If the leak proves true, the bigger iPhone 6 will contain a battery that is almost as large as the one in Samsung’s Galaxy Note 3. Apple has stuck with 1GB of RAM for a while now, even as other manufacturers have added 2-4GB RAM to their devices. Based on what appears to be a schematic for the iPhone 6, it looks as though the next iPhone will feature 1GB of RAM and the A8 processor. The schematic was posted on Chinese social media site Weibo by repair company Geek Bar. Apple Insider noted that Apple may have decided to use just 1GB of RAM so as to extend the battery life of the iPhone 6. Apple may use new, faster, and more efficient LPDDR4 RAM in its upcoming iPhone, according to an earlier report from industry watcher Mark Margolis. He claims Apple will use Micron Technology’s RAM – not only in the iPhone 6, but in all Apple mobile hardware – which should bring performance and battery life improvements with it. Additionally, Apple’s 64-bit mobile processor should benefit from more memory. Shortly after several major news outlets reported that Apple will launch the iPhone 6 during a September 9 event, Chinese telecom expert Xiang Ligang stated on Weibo that Apple has reached the final stage before mass production kicks off. His post was picked up by G for Games. According to his supply chain sources from Foxconn, Ligang claims that the iPhone 6 is in the Production Validation Test (PVT) phase, which is the last step before mass production. During the PVT stage, Apple will test the flow of the production line to make sure that there won’t be any major issues pre-launch. Assuming all goes well with this last test, the iPhone 6 will be on schedule for the rumored September 9 launch date. In spite of recent reports that Apple may not have enough sapphire screens to cover every iPhone 6 produced this year, the Guardian claims that sapphire screens are currently in mass production for both the 4.7 and 5.5-inch versions of the next iPhone. The sapphire screens are described as “unscratchable” and highlighted as a major selling point for the iPhone 6 in the August 17 report. In mid-July, Reuters confirmed several reports from Taiwan that Apple will kick off mass production of the 4.7-inch iPhone 6 in the third week of July. The larger 5.5-inch model will get going in the second week of August. It is unclear whether the larger model’s late start will result in a delayed launch, as previously reported. Reuters also cited a report from China and another from Taiwan, which indicate that Apple’s contract manufacturers Hon Hai and Pegatron plan to hire more workers to produce large quantities of both iPhone 6 models, so as to keep up with the expected demand. NFC: Early in May, a source “close to the matter” stated that the iPhone 6 will incorporate Near Field Communication (NFC) payment functionality, as reported by BrightWire. According to the source, Apple reached an agreement with China UnionPay on a mobile payment service, with the two companies also reportedly in talks to provide another payment solution that could be used when purchasing products in Apple Stores. Reports of NFC on the iPhone 6 were later confirmed by Wired in late August. Sources familiar with the matter told the publication that Apple will introduce its own mobile payments system along with NFC on the next iPhone. Apple could utilize is pre-existing payment systems like the iTunes Store, the App Store, Passbook, and perhaps even iBeacon, to make its mobile payments app one of a kind. Curved screen: A November Bloomberg report says that Apple is working on new iPhone 6 models that come with “curved glass” that bends downward at the edges and sensors that can detect different levels of pressure on the screen. The sensors would be able to better detect a light or heavy touch of the finger. That report also affirms the rumor that there will be two new iPhone 6 models, one at the 4.7-inch size and another at 5.5 inches. A Japanese blog published a report in late April, citing reliable sources, saying the iPhone 6 will have a slightly curved screen which would sit flush against a new rounded edge. It continues to say the body could be made only from aluminum this time, and a new antenna design would make the glass sections seen on the iPhone 5S redundant. Barometer and Air pressure sensors: In mid-June, 9to5 Mac spotted a snippet of code in iOS 8, which seems to indicate that the iPhone 6 will have barometer and air pressure sensors. The sensors will measure altitude, air pressure, temperature, and other weather conditions. iPhone 6 users who enjoy mountain climbing, hiking, and other outdoor sports should find these added sensors very useful for predicting rapidly changing weather conditions. Since the new barometer feature is packed in iOS 8, it’s very likely that the technology will appear on the iPhone 6, iWatch, and the other products the company plans to introduce this year. Bigger screens and a second iPhone 6? Apple has made the most of a 4-inch screen for two generations (years) now, and while it’s perfectly acceptable – go on, admit it – there’s no denying the industry is shifting towards smartphones with considerably larger displays. Juniper Research estimates that devices with 5+ inch screens will see sales of 120 million by 2018, considerably more than the 20 million in 2013. Surely Apple can’t ignore the trend much longer? There are two main schools of thought at the moment. First, Apple will up the screen size to 4.7-inches and leave it at that, while others speculate we may get a 4.7-inch iPhone and a 5.7-inch, or 5.5-inch iPhone/iPad hybrid. These supposed leaked schematics from Nowhereelse.fr also point to a larger screen. Via his Twitter account, Sonny Dickson, who has previously leaked details about Apple hardware, says the screen of the iPhone 6 will have a pixel density of 389ppi. He calls the display “Ultra-Retina,” but doesn’t mention anything about the size or the exact resolution. Using a pixel density calculator, a screen measuring somewhere between 5.6-inches and 5.7-inches, with a 1080p resolution, could potentially produce 389ppi. Alternatively, researchers from DisplaySearch in Taiwan indicate Apple will give the 4.7-inch screen iPhone 6 a 1280 x 720 pixel resolution, resulting in a 312ppi pixel density rating. As for the 5.7-inch hybrid, DisplaySearch says it may have 1920 x 1080 pixels, matching just about every 2013 high-end Android phone. Analyst Brian Marshall, who works for ISI, says we’ll be getting two new iPhone models this year, one with a 4.7-inch display, and the other with 5.5-inches, although he doesn’t mention the possible resolution of either. An increase to 4.7 or 5.7-inches isn’t universally agreed upon – not even close. Peter Misek says Apple will plump for 4.8-inches, while a Wall Street Journal reporter claimed Apple was busily testing hybrid iPhone/iPads with 6-inch screens. Long-time Apple rumor devotees will recall talk of the iPhone Math (or iPhone+, as it may have really been known), a monster-sized iPhone discussed before the announcement of the iPhone 5S. More recently, rumors have been edging towards the possibility of a 4.7-inch and a 5.5-inch iPhone being released during 2014. However, according to the Taiwan Industrial & Commercial Times, only the model with a 4.7-inch screen will go on sale this year. The larger iPhone, according to the rumor, is causing problems for Apple’s production team, and may not be ready until September. The 4.7-inch phone is apparently scheduled for production in July. This fits in with an analyst’s prediction regarding Apple’s plans for the coming year. He says the 4.7-inch iPhone will be released in late September, and the 5.5-inch model will come later, perhaps right at the end of the year. However, not everyone agrees on this timeline. Apparently, Japan Display has already started to produce its 5.5-inch Quad HD display, which was announced late last year. There’s no proof Apple will be using this particular screen, and the timing is likely to be nothing more than a coincidence. It’s also not certain the rumored 5.5-inch iPhone will have a 2560 x 1440 pixel resolution. Apple may have chosen three screen suppliers for the iPhone 6, the primary firms being LG and Japan Display, with Innolux contracted to provide 4.7-inch displays too. A Taiwanese report says Apple decided against partnering up with Samsung due to their ongoing legal battles, and also rejected Sharp due to unstated issues. The exact resolution of the larger 4.7-inch screen is still up for discussion. The latest estimate comes from 9to5mac.com, where it’s reported an iPhone model with a 1740 x 960 pixel resolution is being tested. Used on a 4.7-inch screen, this would provide a pixel density of 416ppi, meaning it exceeds Apple’s Retina-qualifying standards. The unusual resolution may only be one of Apple’s test mules though, and it’s not certain it’ll make it on to the final model. 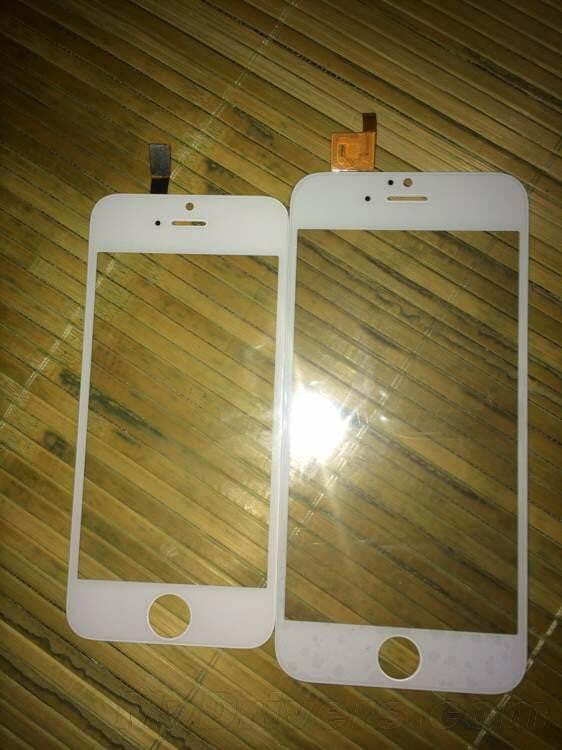 A picture leaked on to the Chinese social network Weibo may show the size difference between the iPhone 5S and one of the newer iPhone 6 models. It shows a standard black iPhone 5S next to a large, unidentified front panel, which bears more than a passing resemblance to an iPhone. It’s white, and has a home button cutout below the screen, plus holes for the front camera, speaker and ambient light sensor above it. Overall, it’s longer and wider than the existing 4-inch iPhone. Could this be the iPhone 6? It’s impossible to say at this stage, but the picture is certainly intriguing. It appears to have been taken in a warehouse, and a stack of similar front panels can be seen in the bottom right of the image, indicating that whatever it is, it’s more than a one-off. 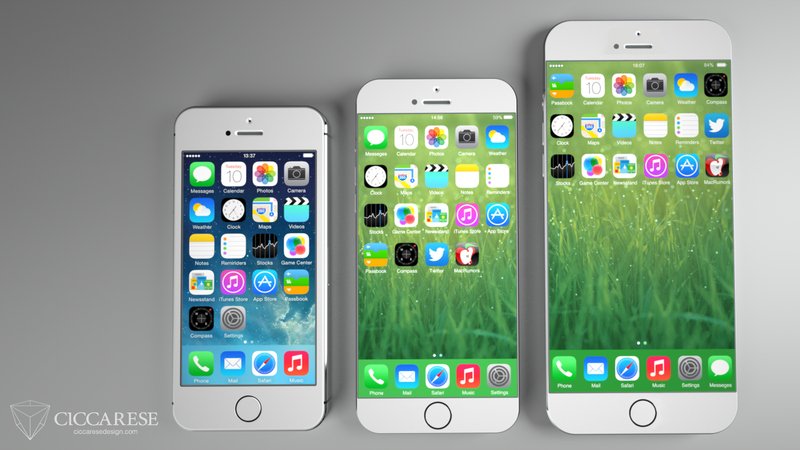 It’s worth considering that prototype iPhones probably exist with all these screen sizes and resolutions. Apple may have tested them all out at one time, or has made a few to throw us off track. Just because they exist though, doesn’t mean they’ll make it into production. It’s unlikely we’ll see three iPhone 6 models. Second iPhone 6 model delayed? Rumors of Apple releasing a second iPhone model during 2014 took an early hit, when a report from Taiwan said the larger of the two phones, rumored to have a 5.5-inch screen and referred to as the iPhone Air, won’t be coming until 2015. This was apparently due to Apple’s notorious quest for perfection in its designs. The problem may have been with the battery, which Apple wanted to be 2mm thick or less, but current technology seems to only be able to manage about 2.8mm. It’s an indication Apple wants the device to be very thin, without resorting to a smaller battery. If the 5.5-inch screen size is accurate, it’ll need a lot more juice to run than the 4-inch screen fitted to an iPhone 5S. By delaying the device’s release, Apple can work with its suppliers to overcome the technical problems. According to the report, the 4.7-inch iPhone 6 isn’t affected by the issue, and should be out during the second half of 2014. Subsequently, a Bloomberg report indicated whatever problems there were have been solved, and the two iPhone 6 models will launch at the same time in September, with production beginning in July. In mid-July, KGI Securities analyst Ming-Cho Kuo turned the situation on its head again, saying the firm expected Apple to delay the release of the 5.5-inch iPhone 6 until later in 2014, or perhaps into early 2015. 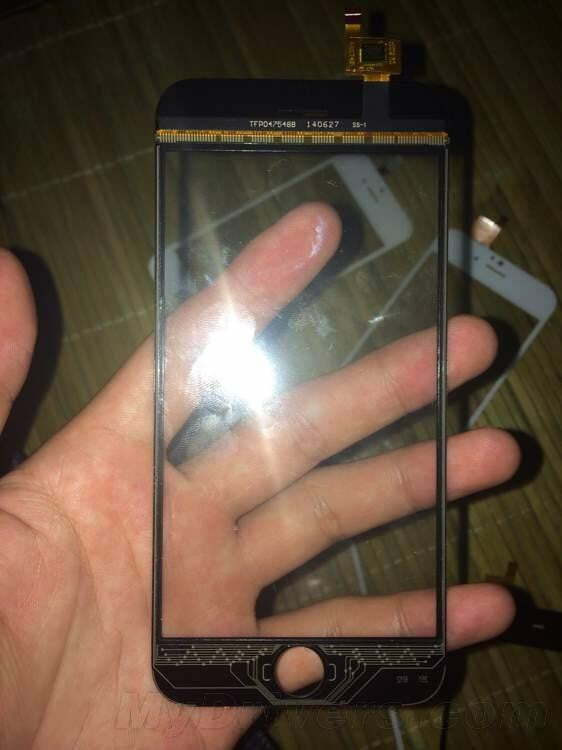 The cause could be supply and quality issues with the larger screens, and “color unevenness of the metal casing.” It’s also suggested if a sapphire crystal panel is used, it may have a hard time passing drop tests. Just a few days later, a report from Taiwan’s Economic Daily News stated that Apple has resolved the battery issue that plagued the 5.5-inch iPhone 6. After its battery suppliers failed to meet the required thinness of the iPhone 6’s design, Apple reportedly turned to a battery pack manufacturer named Simplo. It’s said that Apple demanded a battery less than 2 millimeters thick, which is a very difficult task, considering the fact that most batteries are 2.6 to 2.8 millimeters thick. Of course, even though the battery production issue has been solved for the larger model, it’s still entirely possible that the 5.5-inch iPhone 6 will still face delays, due to other problems. Mockups and leaked images of the iPhone 6 are all over the Internet. The most recent leaks confirm rumors that the iPhone 6 will be thinner, feature rounded edges, and come in two bigger screen sizes. What’s not clear is exactly how the finished product will look. 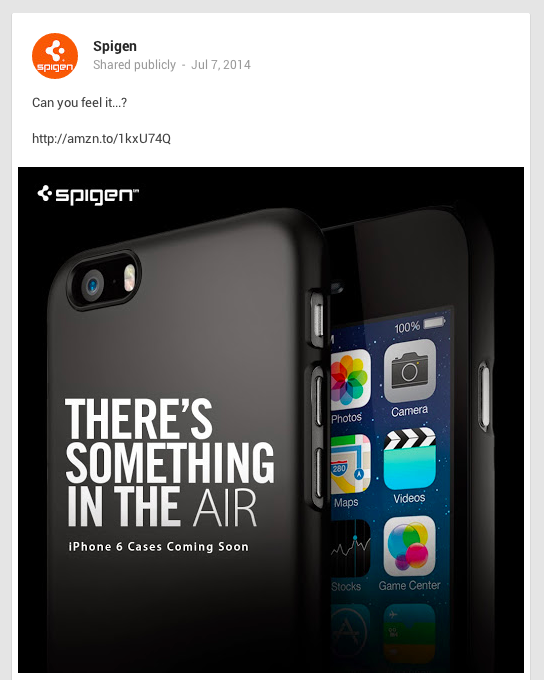 However, in early July, case maker Spigen posted a photo teasing iPhone 6 cases on Google+ and listed several cases for the next iPhone on Amazon.com. Although the images are just renders, they most likely accurately represent the new iPhone 6 design. Cases for both the 4.7 and 5.5-inch models are listed for sale on Amazon with a tentative September 30 release date. The images show an iPhone with a much larger screen, thinner profile, and rounded edges. 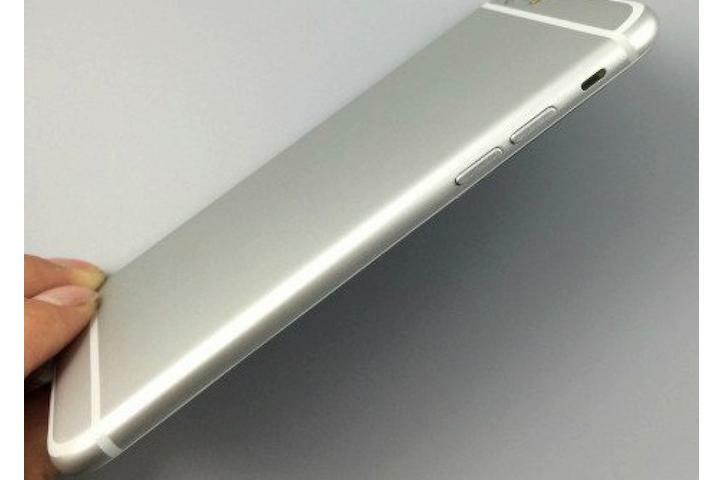 Judging by the pictures, the iPhone 6 will most likely feature an aluminum back. Surprisingly, the power button seems to be on the side of the device instead of at the top, where it has been since the first iPhone arrived all those years ago. The volume buttons also look a little larger. These changes will, of course, make it easier to control the larger iPhone. The new position of the power button in most obvious in the Google+ post, but you can see it in every case listing for the iPhone 6 on Amazon.com. There’s a lot of information to take in regarding the possible specs, look, and configuration of the iPhone 6 already. To help visualize what the next iPhone may look like, concept videos are often produced. They’re speculative, of course, but usually based on the most likely configuration presented by the rumors. Techradar put together the video you see below, which shows a super slim iPhone with a bezel-less display, allowing Apple to squeeze a larger display onto a small body. MacRumors published a set of concept images comparing the iPhone 5S, with a 4-inch screen, and the iPad Mini with its 7.9-inch screen, to the rumored 4.7-inch and 5.7-inch iPhone models. They’ve been based on the leaked schematics mentioned above, and although they aren’t official, it does show how complete Apple’s 2014 range would look, in terms of screen sizes, should they be announced. It started out as one of the crazier theories around, but there is growing evidence the next iPhone(s) could have a screen made of sapphire, which is far more durable than any glass on the market. We’ve seen plenty of reports on the subject, and gathered some evidence ourselves, but now a video has been uploaded to YouTube supposedly showing an iPhone 6’s sapphire glass screen. 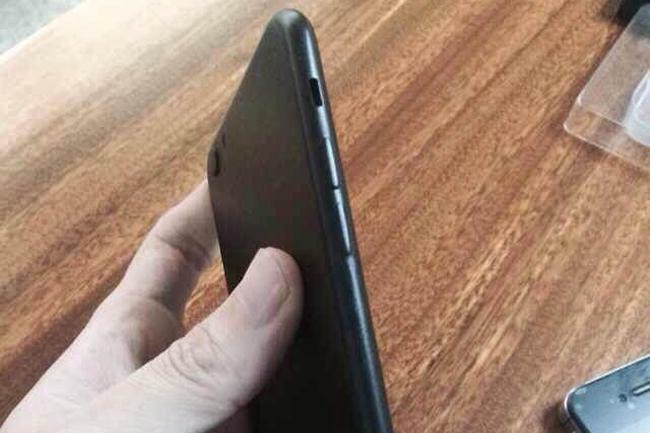 Apparently leaked by a anonymous manufacturer, the panel measures 4.7-inches, and is surprisingly flexible. A few days later, a second video showing what’s supposed to be the iPhone 6’s sapphire screen being put through a series of tests, was also leaked. The panel, which isn’t attached to a phone body, gets abused with a knife, a hammer, some nails, and eventually, a moving vehicle. It’s the latter which defeats it, as it shatters underneath the tire. While it all looks quite impressive, we only have the video’s word for it that this is a piece of sapphire crystal destined for the iPhone 6. 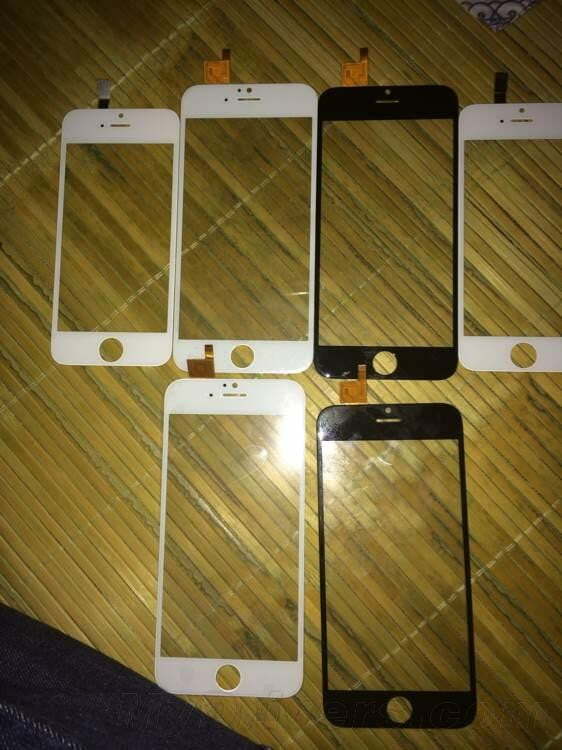 In mid-July, new images of what is supposedly the 4.7-inch iPhone 6 display leaked on Chinese social network Baidu. Chinese site MyDrivers picked up the images, which show a huge difference in screen size between the iPhone 5S and the smaller of the two rumored upcoming iPhone 6 models. The images were supposedly taken from the factory floor and they certainly do look almost exactly like all the other iPhone 6 displays we’ve seen in recent leaks. The display features a thin bezel along the sides and cutouts for Apple’s trademark round home button in the center. Some of the circuitry is even visible on the backside of the display component. It’s interesting that only the 4.7-inch model appears to be present in these photos. The omission of the 5.5-inch iPhone 6 display could corroborate recent reports that the larger version will be delayed. Then again, reports on that front are conflicted. Based on these images alone, it’s unclear whether the displays are made of sapphire or not. Going back over a year, GT Advanced, which now has a major contract with Apple, showed us how sapphire could make smartphone screens nearly indestructible. At the time, the company told us that if a large vendor used sapphire to scale, its price would get cheap enough to integrate into a major product like the iPhone 6. A $578 million contract with Apple is probably enough to do just that. Apple is creating a facility in Arizona to build these components. After calculating the number of furnaces the GT Advanced Arizona facility purchased, 9to5Mac believes it could produce between 103 and 116 million 5-inch sapphire screens per year. If it purchases more machines, it could add another 84 – 94 million iPhone 6 screens to its output. Despite the video, there’s no real evidence the sapphire component Apple is producing will be for the iPhone 6 screen – Apple uses sapphire to cover the camera lens and the TouchID sensor on the iPhone 5S already. Sapphire’s incredible toughness would be equally as beneficial on a watch. Whether the sapphire is for a phone or a watch, the material can take many months to prepare, making an end of year release date, for whatever product it’s going to end up on, most likely. How long can Apple keep adding an ever-increasing number to the name of its latest iPhone? It gave up with the iPad after two models, and decided to add the word Air to the most recent iteration, signifying how slim and light it had made the tablet. 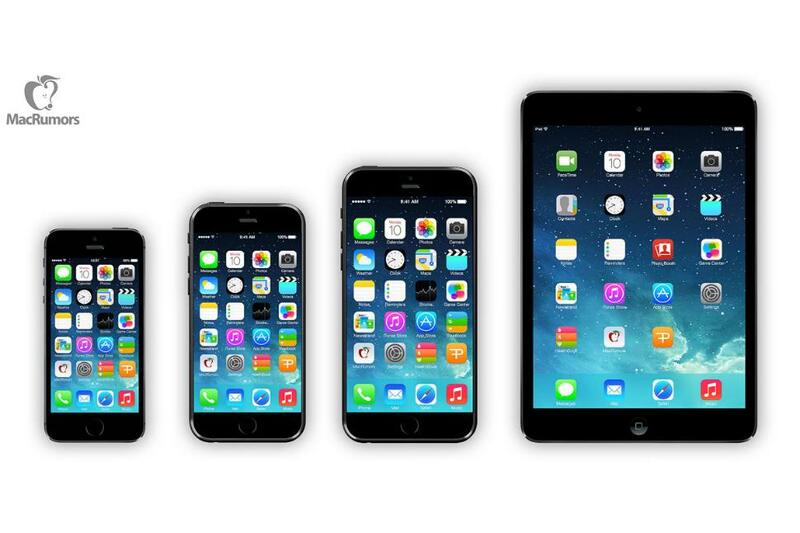 Depending on the specs and size of the next iPhone(s), we could also see an iPhone Air, iPhone 6C, or iPhone Mini. The iPhone has always been a premium smartphone with a premium price tag, but if analyst Peter Misek is to be believed, that tag may get even larger with the iPhone 6. He predicts the device will be up to $100 more than previous versions. He adds that Apple may already have network backing for the increase, due to there being “no other game-changing devices would be released in 2014.” Apparently, networks realize the iPhone 6 will be the only “headline-worthy high-end phone launched this year,” and may end up absorbing the extra cost themselves. Statements like that are sure to irritate Android fans, and an extra $100 on the bill from Apple will inevitably annoy everyone when the time comes, so let’s hope Misek is wrong on this one. The larger of the two rumored iPhone 6 models may come with a pair of exclusive features to differentiate it further from its smaller sister phone. The first is one which has been discussed before. Apple may add a 128GB storage space option to the big device, bringing it into line with the 128GB iPad tablets. With the introduction of a 128GB iPhone 6, Apple may drop the 16GB option from all iPhone models, offering only a 32GB or 64GB model. Additionally, the camera may come with optical image stabilization, while the smaller iPhone 6 may have an improved camera lens. The camera could get an upgrade to 13-megapixels, although not everyone agrees, with others indicating the existing 8-megapixel camera will see improvements. Analysts from Nomura Securities are also saying that the iPhone 6 will have better image stabilization. According to a recent report from MacRumors, sources familiar with Taiwan’s industrial chain are suggesting that the next iPhone will have at least a 10-megapixel camera, but even more interesting is that it will have an aperture of f/1.8, an upgrade from the current f/2.2. The sources also claim Apple will replace the current hybrid IR filter with a resin lens filter made by JSR, a Japanese company known for resins used in imaging equipment with CMOS sensors; the resins are said to be lighter and thinner, and capture clearer images because of their ability to minimize color shifts. 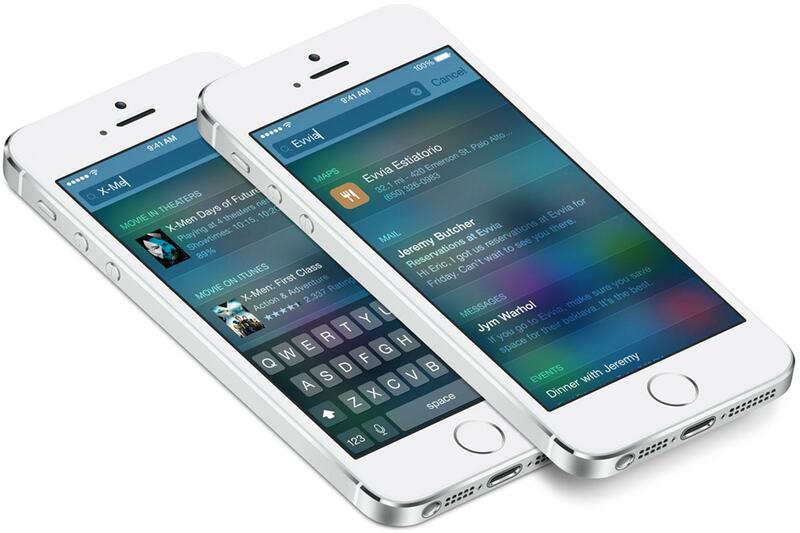 The iPhone 6 will come with iOS 8 installed, which Apple previewed in stage during the WWDC 2014 developer conference. It has revealed only a little about the software, which includes a new HealthKit app, more sharing options, tighter integration with OS X, and the introduction of widgets and third-party keyboard support. You can read all about the new features in more detail here. Will the next iPhone be much slimmer than older models? That’s a very good question, and one which fits in with the idea Apple may chose to name the next model the iPhone Air. The iPhone has never been a bloater, but rumors have spread the next generation may be much thinner than ever. Korean news source ETNews.com quotes sources from the Chinese IT media, who say Apple may shave 1.6mm off the iPhone 5S’ thickness to make a 6mm iPhone 6. 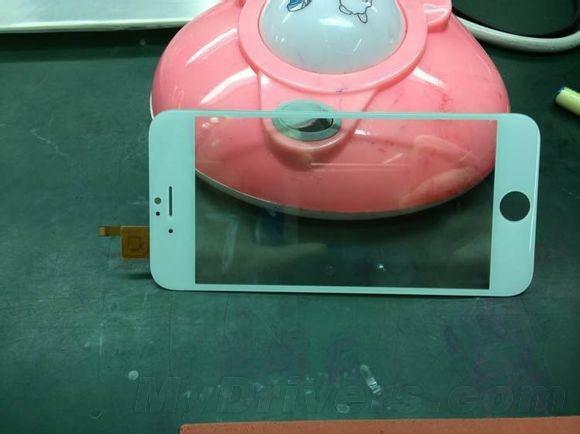 A Chinese website published a picture of what it claimed was the iPhone 6’s chassis. It looks both slim and large, but it could also be completely fake, or not related to the iPhone at all. Only time will tell on this one. Following up his tweet regarding the pixel density of the iPhone 6’s screen, Sonny Dickson says the phone’s chassis will be a mere 5.5mm thick, matching the current world’s thinnest smartphone record holder, the Gionee Elife S5.5. Another set of schematics, this time apparently leaked by a Foxconn employee, show a thin device with chamfered edges, much like the design seen on the iPhone 5S and the iPad Air. A mock-up of an iPhone 6 case, published by a French blog, shows a super-thin and longer design than existing models. Another noteworthy aspect of the case is the switch from individual volume keys to a single rocker switch. A Chinese website recently began selling dummy iPhone 6 mockups, which you can see here in silver, the design of which could be based on the leaked specs we’ve already seen, or on the actual device which could enter production soon. Regardless, the pictures do give us a good look at what Apple may announce later on this year. Although they’re out of stock now, the mockup phone could have been purchased for less than $100, ready for anyone to start making their own “leaked” iPhone rumors. Something to watch out for in the future, perhaps. Such leaks may be very similar to this video, which apparently shows an iPhone 5S and an iPhone 4S being compared with a dummy iPhone 6. The new model is quite obviously much larger, and noticeably thinner, than the iPhone 5S. Plus, it has a new rounded design, and the sleep/wake key has been moved to the side of the device. All these factors have been included in previous leaks, but it’s interesting to see the overall difference in size between the two. A similar dummy unit showed up in still picture form on a French blog recently, along with a few dimensions. The mold measured 138mm long, and 64mm wide. An iPhone 5S is 123mm long and 58mm wide. Sadly, the thickness of the mold isn’t mentioned. The front gives us an idea of how large the screen will be, thanks to the thinness of the bezel area down each side. Don’t think this is the last set of images we’ll see based on a dummy phone either. Another set of pictures have been published by Apple leaker Sonny Dickson through his Twitter account. 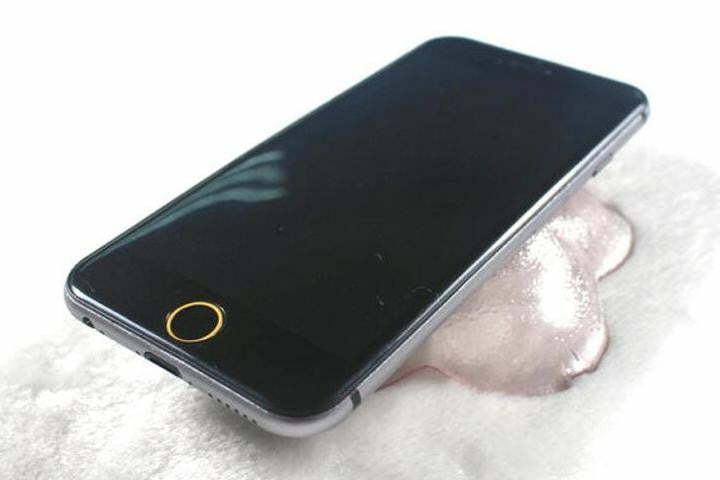 They show a silvery-grey version of the phone seen in most of the other leaks, but with one notable difference. It’s possible the device has a curved display, something like the Lumia 920 and its siblings. However, it could also be an idiosyncrasy of the dummy phone, and not a feature of the final product at all. 2. Note the reflection on the screen, suggesting a slight curve. 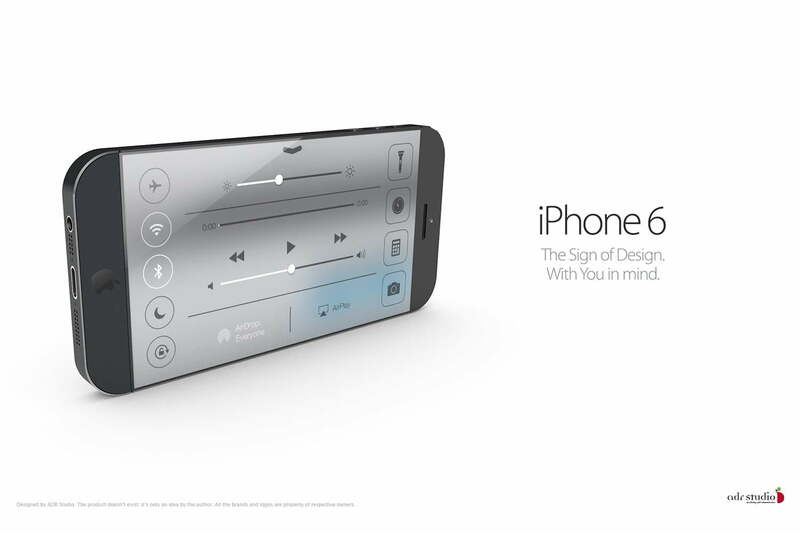 YouTube user SCAVidsHD brought the rumors to life in the form of a concept video for the iPhone 6. In the two videos, one of which is posted below, the concept takes several cues from dummy models of the iPhone 6, which, in turn, used rumored specifications to bring the handset to life. In the video, the camera lens sticks out, with a circular LED flash next to it instead of the oval dual-LED flash found on the iPhone 5S. Meanwhile, the display is edge-to-edge while the fingerprint sensor is present right below it. 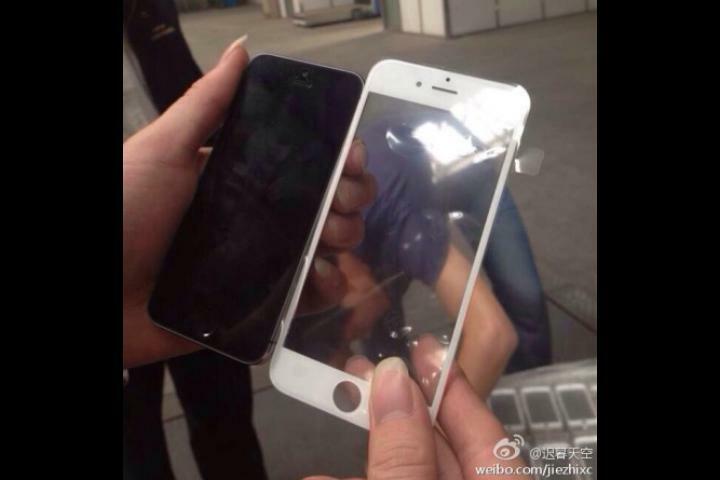 Several more photos leaked from China, showing the super-thin body of what is supposedly the iPhone 6. Since we’ve seen several photos of the thin chassis before, that detail is not particularly earth shattering. However, what is interesting is that the infamous Apple logo on the back of the device appears to be translucent instead of opaque. One report from France speculates that the Apple icon might glow when users receive notifications or phone calls. 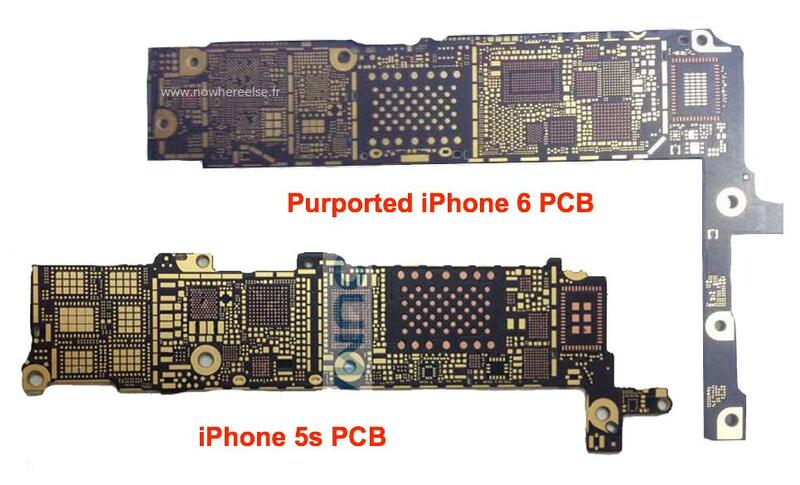 Photos of the inside of the case also show circuitry that seems to indicate that the iPhone 6 battery will be fused and not removable. 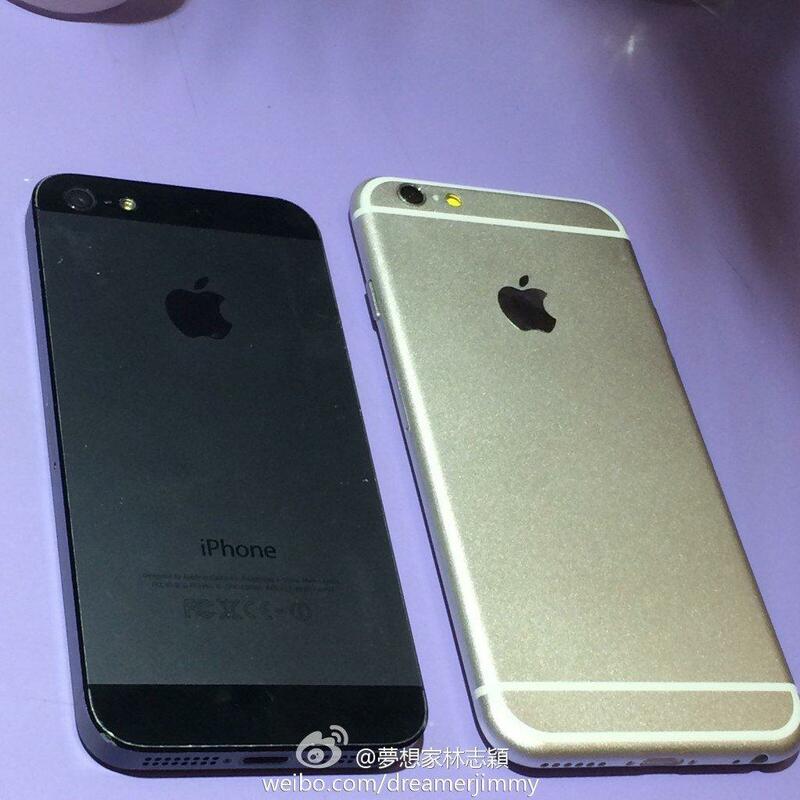 On June 11, Taiwanese pop star Jimmy Lin posted several photos of what appears to be the iPhone 6 on Weibo. One photo shows Lin holding the larger iPhone 6 next to the petite-looking iPhone 5S. Another shows the two phones next to each other on a flat surface. 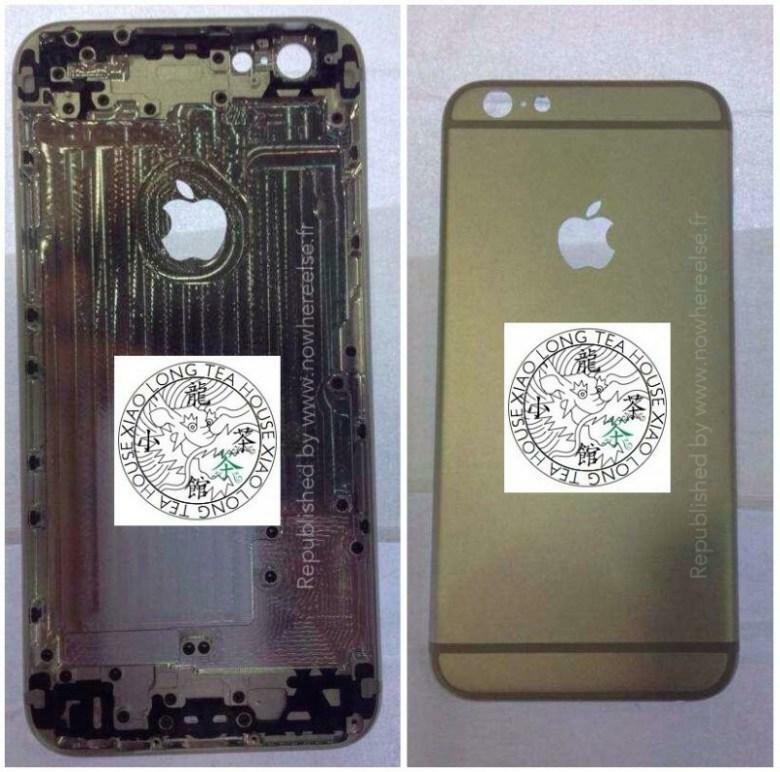 The device in the pictures looks almost exactly like all the other iPhone 6 leaks we’ve seen recently. It appears to be the 4.7-inch version, which would corroborate reports that hint the smaller model will debut before the 5.5-inch iPhone 6 behemoth arrives. Lin wrote that the iPhone 6 has good grip and mentioned that the power button has been moved to the right. He also confirmed that the display is 4.7 inches. In the past Lin has posted accurate photos of other iPhones prior to their release, including shots of the iPhone 5 and 5C. Obviously, there’s no guarantee that this is indeed the iPhone 6, but it very well could be. We can’t say whether the case seen in this video is a true representation of Apple’s plans (it could be based on the same rumors we’re reporting), but it’s an interesting comparison anyway. 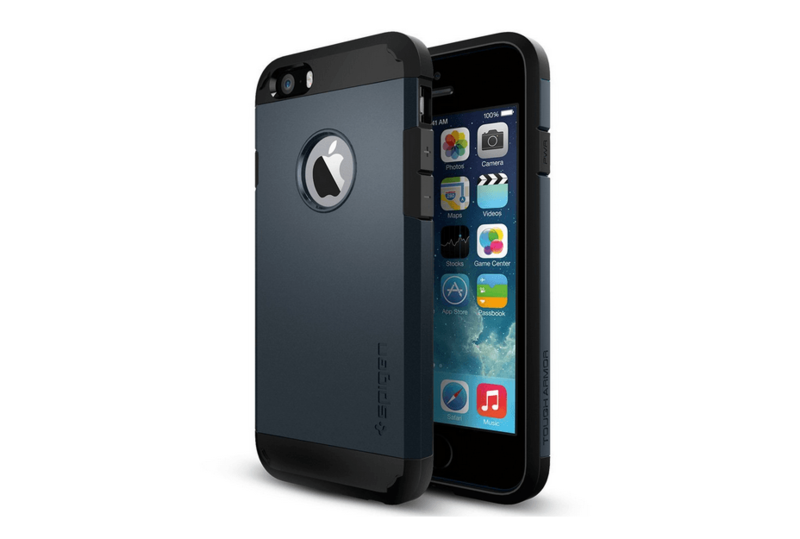 It shows a prototype case for the iPhone 6 being held up against the iPhone 5S and the Nexus 5. It’s noticeably slimmer than the iPhone 5S, and a similar size to the Nexus 5, which has a 5-inch display. The case also reveals Apple may move the sleep/wake key on to the side of the phone – making a larger device easier to use with one hand – and change the individual volume keys for an iPad Mini-style rocker switch. Otherwise, the camera and the flash are in the usual position, and the speaker, headphone jack, and Lightning connector are all along the phone’s base. Is this what the iPhone 6 will look like? In mid-June, a video from TechSmartt appeared on YouTube, claiming to show accurate mockups of the 4.7-inch and 5.5-inch iPhone 6 models in comparison with each other and smartphones from competitors. In the video, the 5.5-inch, phablet-sized iPhone 6 appears to be even bigger than the LG G3 and Samsung Galaxy Note 3. If the next iPhone does have a larger, higher resolution display, then it makes sense for iOS 8 to increase the amount of apps it displays on each homepage. 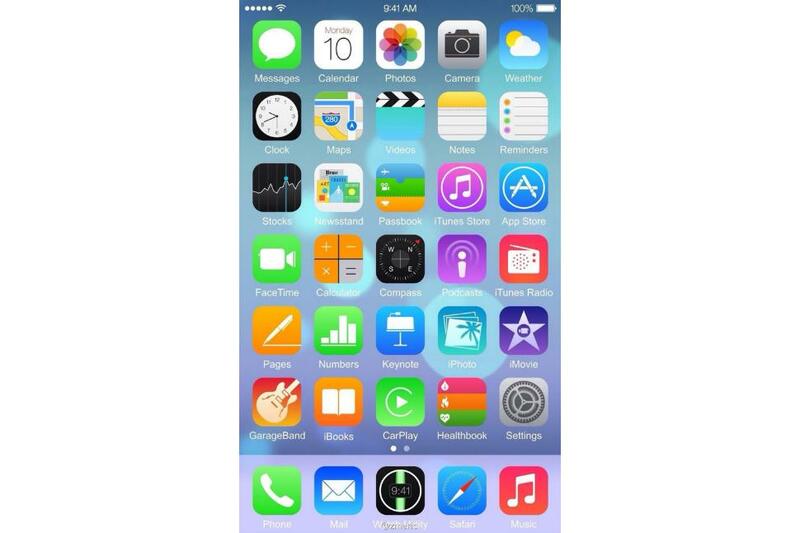 A leaked screenshot, supposedly showing iOS 8, has an icon grid five wide and six tall. This is one wider and one taller than the existing layout seen on iOS 7 and 4-inch iPhone models. That’s not all. The main app dock at the bottom of the screen shows an app named Watch Utility, where one presumes the rumored iWatch will be setup and controlled. The icon’s style is at odds with everything around it though, so we’d expect this to be a placeholder, or a fake. It’s joined by two other new apps, CarPlay, and Healthbook. The iWatch is expected to have fitness tracking capabilities, so an accompanying app is also likely. The screenshot comes from a source on the Chinese social network Weibo, but there’s no word on its origin. Also, the image has an odd 1600 x 966 pixel resolution, which can’t be tied to any current Apple mobile device. Is it real? We don’t know, but there’s plenty which makes us suspicious. Since iOS 8’s introduction, we know Apple has gone with the name HealthKit rather than Healthbook, casting further doubt on the accuracy of this image. For now, treat it as a glimpse of how Apple could fill a larger iPhone display, rather than concrete proof of anything. AT&T introduced HD Voice using VoLTE technology recently, and although the Galaxy S4 Mini is its first device to support the feature, the iPhone may follow. According to 9to5mac, iOS 8 may bring VoLTE compatibility, allowing Apple phones to enjoy higher quality calls, and the chance to use 4G data at the same time. However, Apple is never a fan of adding in pointless features for the sake of it, so if networks haven’t got their act together with HD Voice before the phone launches, then it may be pushed back until they do. Then comes solar charging screens, which we saw demonstrated at CES this year. Though 3M and SunPartner told us that their screens wouldn’t be ready until 2015, Matt Margolis of Seeking Alpha believes that this type of solar screen is being built in the Arizona facility. While he could be right, we’re uncertain this innovation will appear on the iPhone 6, especially given the rumors of how thin it will be. There’s little room for more screen layers in a 6mm phone. There are some non-screen related rumors. We’ve got an old report which talks about the abolishment of the Home button. Instead, some believe that the new iPhone 6 will rely more on gesture controls to navigate around the OS. It sounds plausible, but Apple will have to find somewhere else to put its new fingerprint sensor, something which wasn’t known when this aging report was published. A Forbes article by Anthony Kosner suggests Apple’s upcoming mobile payments platform will integrate a Touch ID fingerprint sensor into the entire screen of the next (big) iPhone, eliminating the need for a Home button. Again though, this will add yet another layer to the thickness of the screen, which diminishes speculation that this will be a super thin 6mm phone. 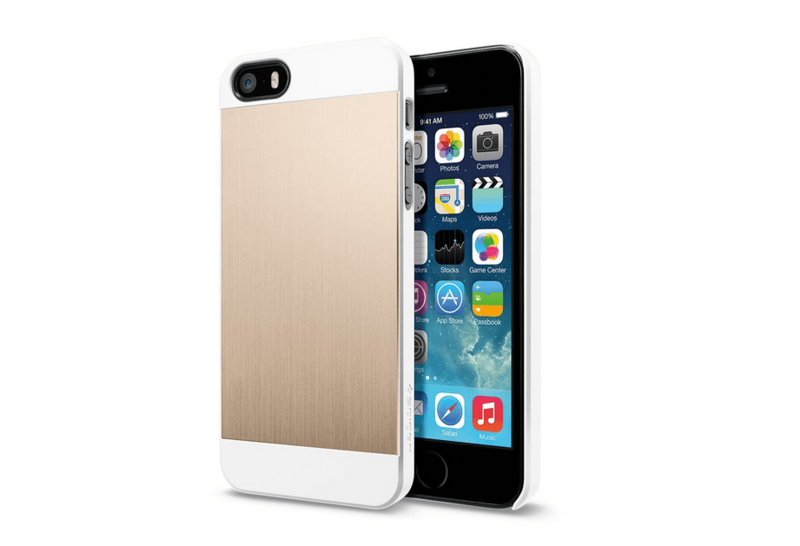 It’s also possible the iPhone 6 will have the first liquidmetal chassis. This has been a long-standing rumor, and while Apple has filed many new patents related to the technology, it’s still considered a challenging material with which to work. Yes, there could be one more thing at the next Apple event, and it may be the iWatch. If Apple is going to come out with its own interpretation of the smartwatch this year, it makes sense for it to launch alongside the latest phone. We’ve pulled together all the talk about the iWatch here, so make sure you take a look. The iPhone 5S was joined by the iPhone 5C when it was announced in 2013, and unless Apple deems the experiment a failure, we should see the iPhone 6C up on stage in some form. However, at the moment, all the attention is being lavished on its more expensive sister phone, the 5S. That’s about all we have for now, but we’ll be updating this article regularly with more juicy iPhone 6 talk. Updated on 09-02-2014 by Malarie Gokey: Newly leaked images show a massive battery for the 5.5-inch iPhone 6. Updated on 08-28-2014 by Malarie Gokey: Apple sent invites to the press for a September 9 event where the iPhone 6 is expected to debut. Updated on 08-28-2014 by Malarie Gokey: Apple will reportedly introduce its own mobile payments system along with NFC on the iPhone 6. Updated on 08-18-2014 by Malarie Gokey: Apple may stick with 1GB RAM, but sapphire displays are in production for both iPhone 6 models. Updated on 08-13-2014 by Malarie Gokey: Apple reportedly reached the final stage before mass production. The iPhone 6 is on schedule for the reported September 9 launch. Updated on 08-06-2014 by Malarie Gokey: A new report claims the 4.7-inch iPhone 6 will sport a 2100mAh battery when it launches on September 9. 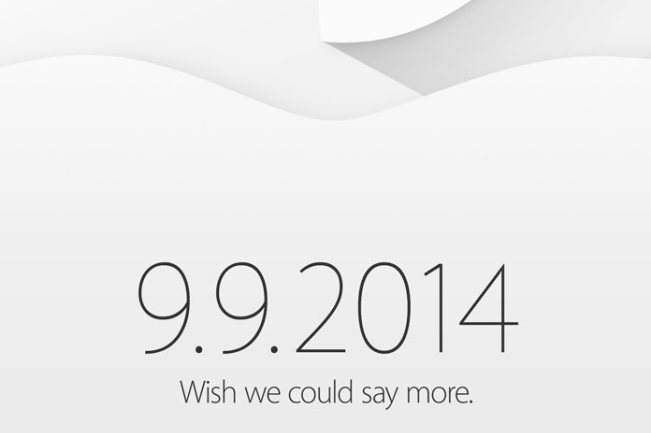 Updated on 08-05-2014 by Malarie Gokey: Apple allegedly has set the launch event date for September 9. Updated with response from Apple to Digital Trends. Updated on 07-31-2014 by Malarie Gokey: Added report of October 14 release in stores and September 16 launch event. Updated on 07-24-2014 by Malarie Gokey: Added several new reports regarding the release date of both iPhone 6 models. 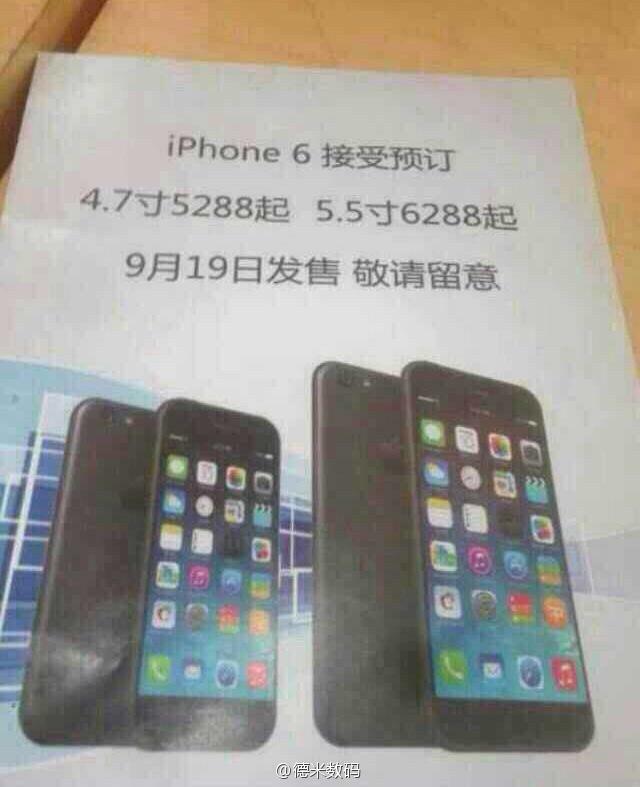 Updated on 07-21-2014 by Malarie Gokey: A leaked flyer from China hints at September 19 launch and price for both models. Updated on 07-18-2014 by Malarie Gokey: Reuters confirmed news from Taiwan that Apple will begin mass production of the iPhone 6 this July. Updated on 07-15-2014 by Malarie Gokey: New reports from Taiwan indicate that Apple has solved the battery issue that plagued the 5.5-inch iPhone 6. Updated on 07-14-2014 by Malarie Gokey: Newly leaked images from Chinese social media site Baidu show the 4.7-inch iPhone 6 display in comparison with the 4-inch iPhone 5S display panel. Updated on 07-14-2014 by Andy Boxall: A second video showing what’s supposed to be the iPhone 6’s sapphire display undergoing stress tests has been leaked, while rumors the 5.5-inch model being delayed have re-emerged. Updated on 07-08-2014 by Andy Boxall: A video supposedly showing the iPhone 6’s sapphire screen has been leaked, while reports gather about larger capacity batteries. Updated on 06-26-2014 by Andy Boxall: Added news that the 5.5-inch iPhone 6 may exclusively come with 128GB of storage space and optical image stabilization on the camera. Updated on 06-25-2014 by Malarie Gokey: Added new leak from Chinese site Tencent, which hints at at September 19th release date for the iPhone 6. Updated on 06-11-2014 by Malarie Gokey: Added new leak from iOS 8 code that hints at added sensors for air pressure and barometric pressure. Also added video of iPhone 6 mockups reportedly used by case designers. 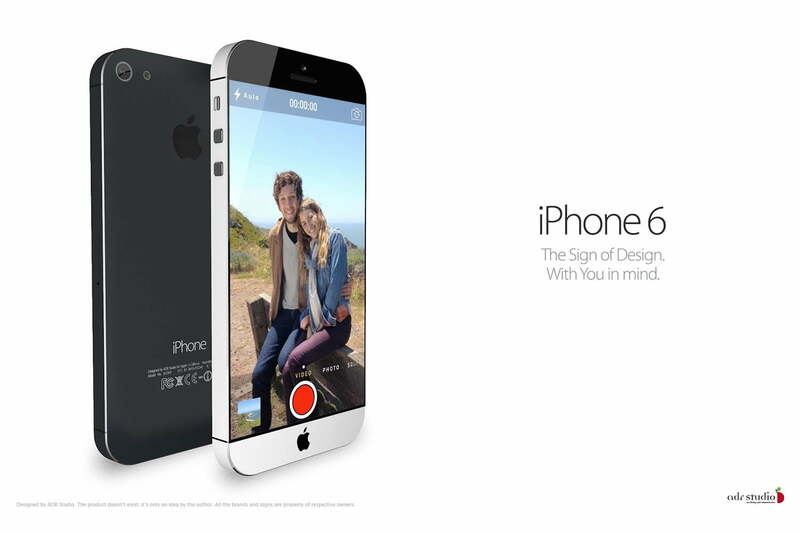 Updated on 06-11-2014 by Malarie Gokey: Added newly leaked picture of iPhone 6 taken by Taiwanese pop star Jimmy Lin. Updated on 06-09-2014 by Malarie Gokey: Newly leaked photos from China show super-thin iPhone 6 body and hint at light-up notifications from the Apple logo located on the back of the device. Updated on 05-20-2014 by Andy Boxall: New rumors say the iPhone 6 could have a 1704 x 960 pixel resolution, and Apple could include HD Voice and VoLTE support. Updated on 05-09-2014 by Andy: A new rumor points to an August release for the 4.7-inch iPhone, and September for the 5.5-inch model, plus another set of pictures showing a dummy phone have leaked. Updated on 05-08-2014 by Andy: We’ve updated with the latest iPhone 6 mockup images, along with a new comparison video, and some rumors about the start of production. Updated on 04-25-2014 by Andy: Added in a video showing a possible iPhone 6 case being compared to the iPhone 5S and the Nexus 5, plus more speculation about a curved glass screen, and another suggestion the new phone will launch before September. Updated on 04-14-2014 by Andy: A leaked screenshot supposedly shows iOS 8 running on a larger iPhone, complete with a higher amount of app icons on display. Plus, more leaks point to the iPhone 6 being thinner than previous models. Updated on 04-10-2014 by Andy: Further evidence has emerged we could see a pair of iPhone models announced this year, perhaps with a 4.7-inch and a 5.5-inch display. We’ve added in news on this, plus talk of faster RAM being used inside the device, a new concept image, along with a product roadmap created by an analyst. Updated on 3-18-2014 by Andy Boxall: Added a few more rumors regarding the iPhone 6’s screen size, its resolution, and the pixel density. Also, a new report says production will begin between April and June, in a factory run by Pegatron, a long-time Apple manufacturer. Finally, we’ve put in a cool concept video, showing what the iPhone could look like if it has a bezel-less display. Updated on 3-31-2014 by Jeffrey Van Camp: Leaked schematics further confirm that a larger iPhone is in the works and we uploaded a few new concept designs. Updated on 2-07-2014 by Jeffrey Van Camp: Added a bunch of new concept photos of the iPhone 6 by Italian designer Federico Ciccarese (Thanks for the tip, CNET). Added a number of rumors to the mix but it looks like the Arizona facility may be able to produce 100-200 million phone-sized screens per year, and it could start production this month. Updated on 2-07-2014 by Les Shu: Add in news about report from sources close to Taiwan’s manufacturing chain, indicating that the iPhone 6 will have a faster lens and at least a 10-megapixel sensor. Updated on 1-30-2013 by Andy: Add in news on a document which seems to have revealed Apple’s new manufacturing plant will start producing sapphire components in February. Updated on 1-27-2013 by Jeff: From the time of editing to publishing (over the weekend), Apple rumors surrounding solar screens and sapphire have emerged. I’ve added them into the roundup. Article originally published on 01-27-2013.